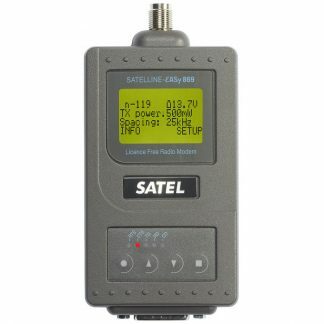 SATELLINE EASy-Pro 35W is the ruggedized IP67 (NEMA 6) EASy-Pro UHF radio modem with a souped up 35 W transmitter designed for easy mobile use in demanding field conditions. The casing and connectors of the EASy-Pro are waterproof and secured against dust according to stringent IP67 standards. Reinforced design, watertight seals and connectors, and an expanded temperature range are the defining elements of SATELLINE Pro Series radio modems. 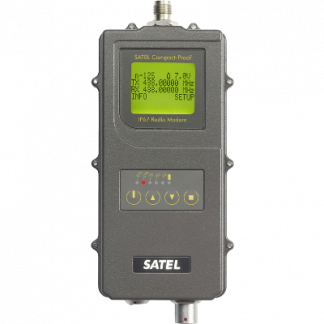 Call Sign Enhanced for mobile use, EASy-Pro transmits Morse code FCC call signs at regular intervals. Click through available channels with the press of a couple buttons or automatically scan for the best frequency with channels lists that can be factory programmed or set up in advance with an intuitive software interface. 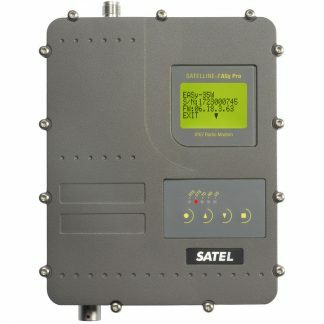 Fully equipped with a Liquid Crystal Display (LCD) and a keypad, settings of the EASy-Pro can be changed in an instant without any additional hardware and the easy to read display provides current received signal strength (RSSI), channel/ frequency and power supply voltage to monitor battery or solar power levels. Optional AES-128 encryption support adds strong protection to your data over the air, with minimal overhead. Cutting down on installation and repair times, SATELLINE radio modems feature low and high duty cycle testing to simplify antenna testing and alignment, link, system and path tests. 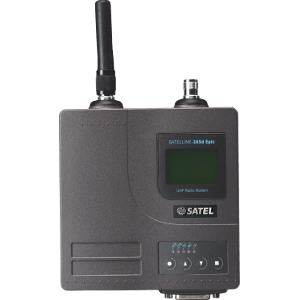 When combined with the benefits of conveniently displayed signal strength on the receiving modem, antenna installation times are reduced to a minimum. At 100%, 35W: 13 min, 10W: 50 min. No limit at 40%. 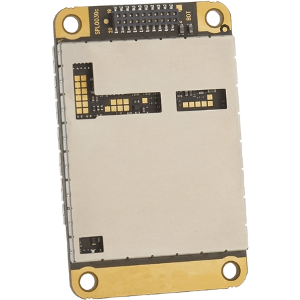 YM6813: Satelline EASy-Pro 35W, with AES-128 encryption support. A 25W power-limited version is available by special order.